Details of our LC Oral Day Courses & Easter Revision Courses is available below. The upcoming Easter Revision Courses will commence from Sunday 14th April 2019. Pre-register today to avail of our €200 OFF Offer when booking 5 or more Courses. A €100 deposit secures this offer. 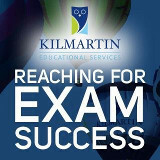 Limited Class Sizes, providing excellent summary notes and be taught by some of Ireland’s Top teachers. Keep up to date on our Facebook page. 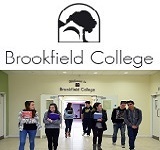 At Brookfield College we offer a full time Leaving Certificate Programme for fifth year, sixth year and repeat students. Established in 1988 we are now entering our 30th year of educational excellence. We have a proven track record of outstanding results. We promote an atmosphere of respect and partnership where students and teachers work together to achieve their goals. Let us help you reach your potential! We also offer grinds, revision courses, oral preparatory courses and supervised study.